If you're an experienced pianist with a do-it-yourself streak and some mechanical savvy, restoring a vintage piano to its original state may seem like a romantic or environmentally sound idea. Depending on the piano's age, condition, and fundamental quality, however, true restoration may be prohibitively expensive, time-consuming, or even impossible. If you decide to restore it anyway, proper knowledge and skill---as well as some patience---may give you a piano you'll love more than any instrument you could have purchased new. Open up the piano and take a look inside. Taking off the cover panels will allow you to check for visible damage--broken pegs, strings, or hammers, warped wires, disconnected pedals, collected dust or dirt, or objects wedged inside the action. Test every component of the piano to determine what needs to be repaired. The soundboard holds together the piano's "innards." Make sure it's not cracked and that the ribs, pins, and bridges inside aren't cracked or broken. Check whether any strings are missing or broken. 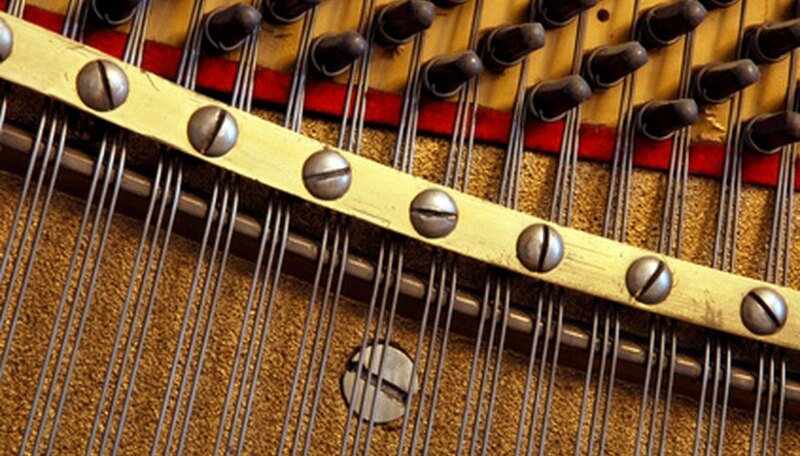 The piano's "action" is the mechanism that causes the felt hammers to strike the strings when you play a key. Does the action have any broken parts? Also be sure to check the pedals and dampers, the keyboard, and the wooden "case." Buy replacement parts at a music store or order them online. Repair each damaged part of the piano, working from the inside out. Begin with the soundboard and its components, then the strings, action, pedals and dampers, and keyboard. Test each component to make sure it functions correctly before moving on to the next set of parts. Set the wooden piano case aside for varnishing. Do not varnish it while its on the piano body. 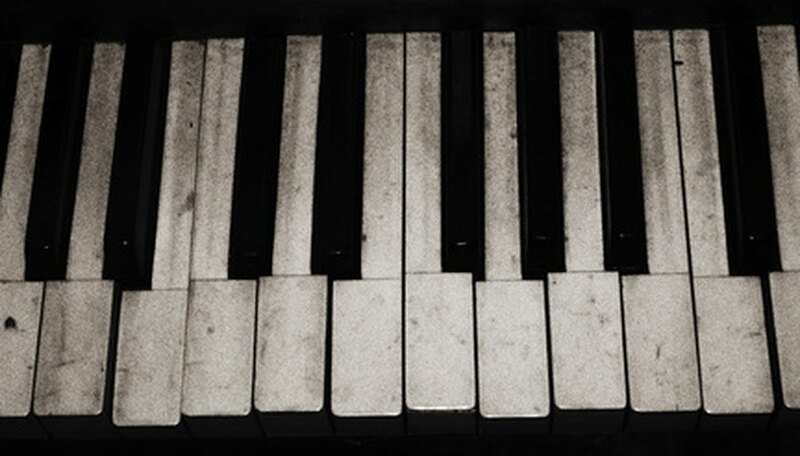 Tune the piano. If you feel you're a competent tuner, do it yourself. If not, bring in a professional. A good tuner likes to have the piano "open," so don't reassemble the case until the piano is tuned. Reattach the case to the piano body. Try playing the piano yourself. While the restoration is still fresh in your mind, listen and feel for any residual problems, so that you can fix them quickly. Know the difference between "restoring" and "rebuilding" a piano. "Restoring" means refurbishing, retrofitting, or replacing certain parts of the piano. "Rebuilding" means taking the entire piano apart and determining from the ground up which parts should be repaired. Do your math. A decent new or good used piano can cost between $5,000-$10,000--so can a failed attempt to restore a cheap piano. Don't waste money and time on a piano that's not worth it, unless you have such a strong emotional or sentimental attachment that you don't mind the price tag. 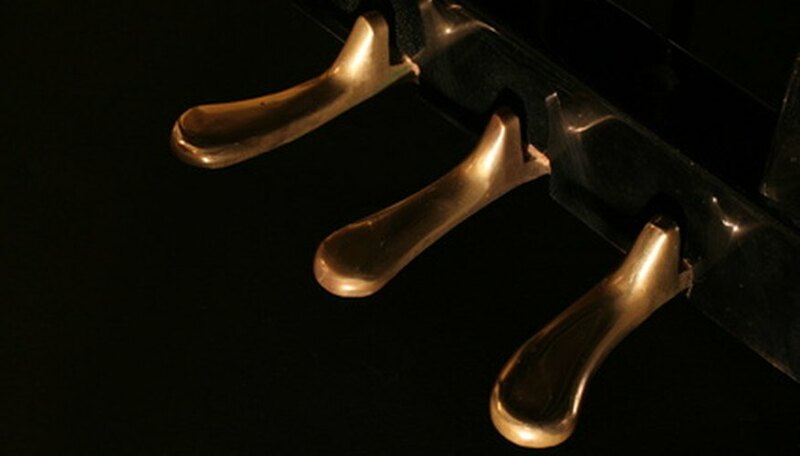 Find a website with a comprehensive list of piano brands and their relative overall quality. Also bear in mind that piano restoration is an incredibly intricate process; don't be discouraged if your first attempt is a failure. E.C. Rosenberg is an editor, writer and journalist with 20 years of experience in diverse subject areas and audiences. She has written for publications including "Technology Review" and "The Boston Globe" and has edited numerous books.